Berry Bitters is a fictional bitters company based in New York City. I created the logo and packaging as part of my continuing education course at SVA. Just because bitters aren’t sweet doesn’t mean it’s branding can’t be. Most bitters companies attempt to reflect the history of the product with vintage-style logos and branding. 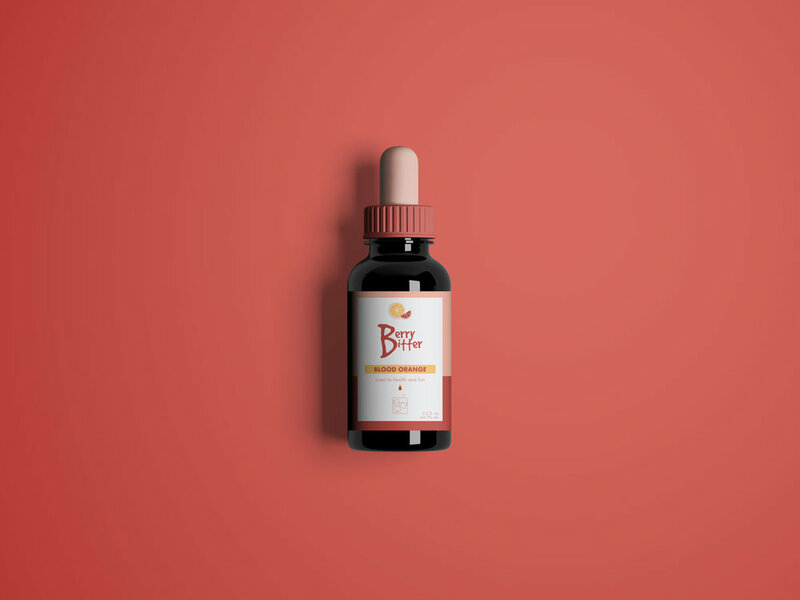 It’s also very clear in style, colors and overall design that bitters companies are targeting men as their primary market. But what about all the ladies that love a good cocktail? We exist! I wanted to create something that would not only stand out on the shelves, but also something that opened the door to a neglected market.